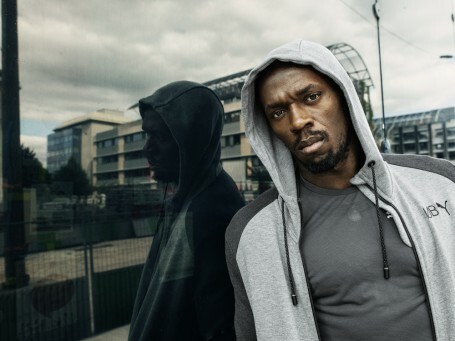 Herzogenaurach, Germany (2nd February, 2016) – Global Sports Brand PUMA has teamed up with the World’s Fastest, Usain Bolt to create a sport-inspired lifestyle collection for SS16. Gearing up for the Summer Games in Rio, the collection takes its inspiration from the track, combining sporty looks with premium trims and modern silhouettes. The classic Evo Formstripe features across cozy pieces including the UB Hoody, UB Shorts and UB Pants – all available in both Heather Gray and Black. The UB Logo Tee boasts a silhouette of Bolt’s signature ‘lightning’ pose. Other key pieces include the UB Number 86 Tee, where ‘86’ represents the running legend’s birth year, UB Graphic Tee and UB Blouson. Also available are accessories, including the snapback Flatbrim hat and the Apex Backpack for your everyday commute. The PUMA x Usain Bolt SS16 Collection will be available on puma.com and in PUMA Stores worldwide beginning in February.